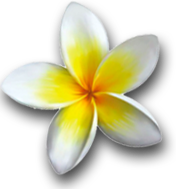 Join an existing class or book your own group lesson for you and your friends/family. 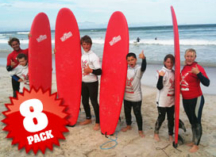 Group lessons have a maximum of 6 students per instructor. 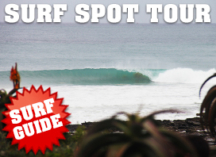 Take a Surf Tour around J-Bay and let our local guide show you all the main surf breaks and give you tips for : Where to paddle out, Where to sit, How to get back in, Potential Hazards at each spot, Which spots work best in which conditions, etc, etc.. Know where to go! 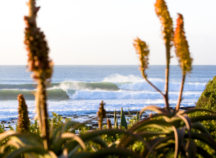 Book a J-Bay Surf Tour! 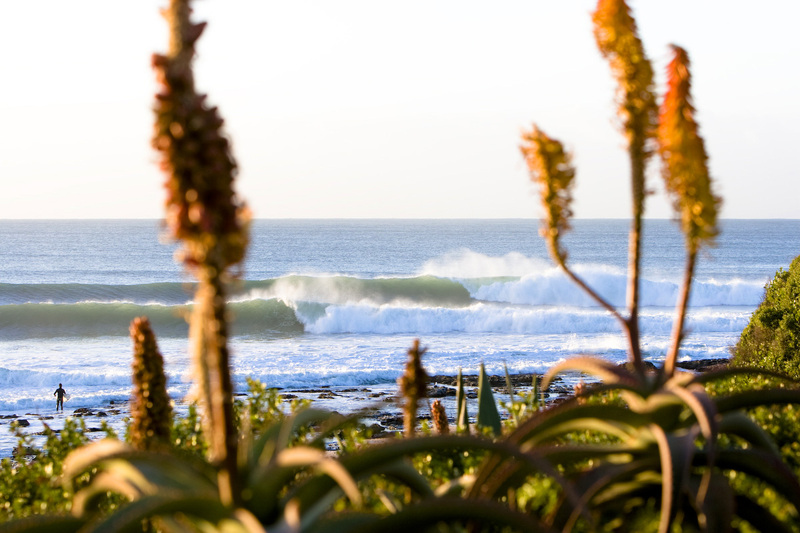 Jeffrey’s Bay (or J-Bay as it is affectionately know) is situated on South Africa’s famous ‘Garden Route’ and is home to ‘Supertubes’ possibly the worlds most perfect wave! 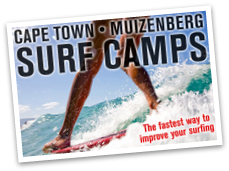 Be inspired to learn to surf as you watch in awe as accomplished surfers ride for hundreds of meters along perfectly breaking swells. 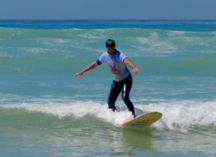 Our beginner surfing lessons are held at a beach called “Kitchen Windows” that is far better suited to learning to surf than the advanced Supertubes point break. Our surf school in J-Bay offers daily private coaching or group beginner lessons – as long as the weather is suitable. 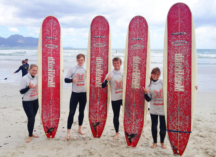 If the weather doesn’t look OK for surfing we will call you to reschedule. 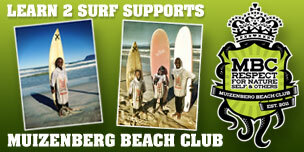 The second best thing to do in J-Bay is to visit the Surf Clothing Factory Shops! 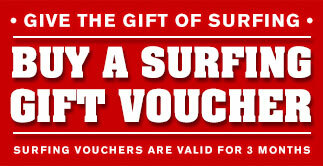 Get all your surf clothing at a fraction of the usual prices.